Rule 1: Short adverbs having just one syllable form the comparative and the superlative by the adding –er and –est to the positive. Note that almost all adverbs which are also used as adjectives belong to this class. 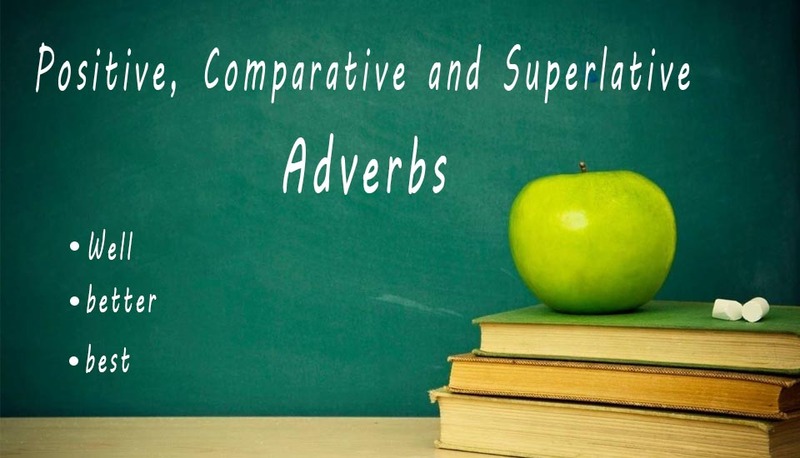 Adverbs which end in –ly take more for the comparative and most for the superlative. EXCEPTION: The adverb early is an exception to this rule. Early (positive) earlier (comparative) earliest (superlative). IMPORTANT: It should be noted that only adverbs of time, degree and manner have three degrees of comparison. Adverbs such as now, then, once, there, where, why, how, not, never, ever etc., cannot be compared and hence they do not have the three degrees of comparison. You should read good books again and again. His work spread far and near. I write to him now and then. He needs all the Novels over and over. I believe that Mr. Ali is out and out the best teacher. He walked to and fro.